Foster Hose and Fittings only uses a line of conveyor belt that is manufactured Tough and Tested Tough on over 70 miles to date in some of the most torturing applications…VIKING® PREMIUM Belt uses Premium Polyester/Nylon fabric in the belt carcass with a full 10 to 1 break strength for minimum stretch, maximum fastener retention, and superior load support. 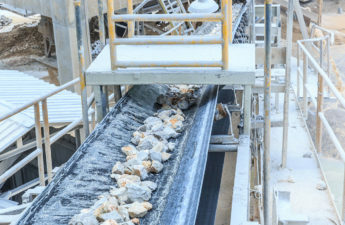 The Grade II SBR/Natural PREMIUM rubber compound significantly exceeds RMA 2 specifications and even approaches RMA 1, which results in a “best buy” for handling abrasive materials like limestone, crushed rock, coal, sand, and gravel. 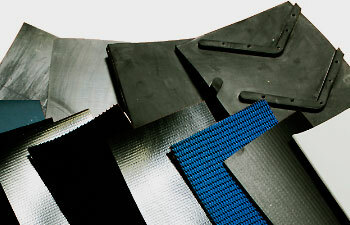 Heavy rubber skims and high adhesion between plies team with a heavy overall gauge to make an exceptional impact resistant, long lasting conveyor belt. 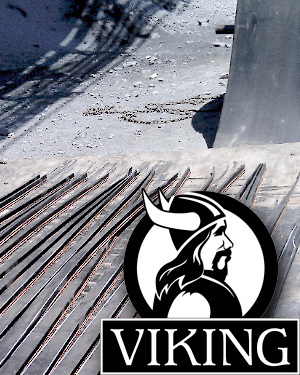 VIKING™ ROCKQUEST One & Two Ply I-Warp belt’s reinforced carcass construction resists rips, tears and gouging caused by heavy impacts. These belts provide exceptional durability because of its tough synthetic carcass and heavy duty RMA Grade 1 covers (see below). It also has excellent bolt-holding capabilities for buckets and mechanical fasteners, a significant improvement over standard straight warp belts. From off the shelf conveyor belts to made-to-order fabrications, our customers rely on our innovative solutions backed by our large inventory. 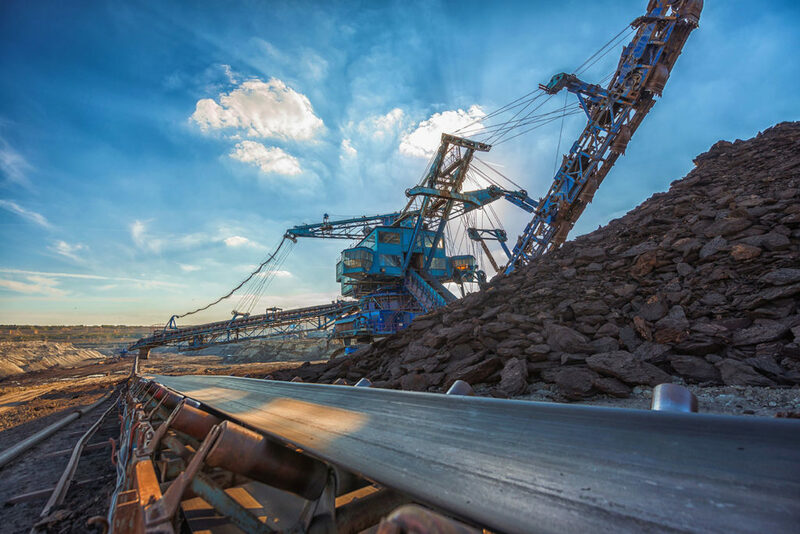 Our MOR, Rip-Stop, PVC, Urethane, Heavy-Duty Black Belt, Eddy Current and Optical Sorter Belts are optimized for handling scrap metal, mulch, construction and demolition, E-Waste (computers, TVs, etc) and other products in a material refinery facility (MRFs). 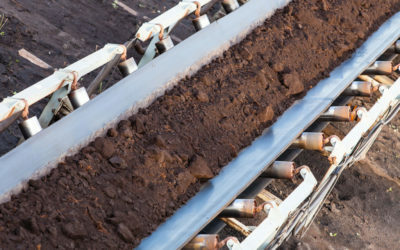 Our PVC conveyor belts are specially formulated for superior resistance to abrasion, rips, tears and gouging. With our versatile fabrications and ease of splicing, our designs will meet your small pulley requirements and demanding applications. This is a “best buy” for sorting recycled materials, handling cullet glass, metal stampings, and mechanical parts. Grade 1 •Premium rubber compound. 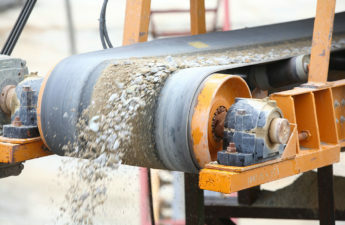 For conveyor belts with sharp, abrasive materials. 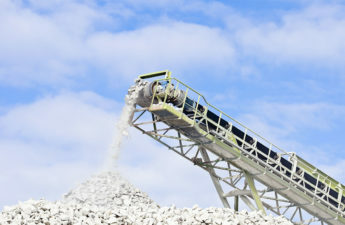 General Purpose • Aggregates and above-ground mining operations. 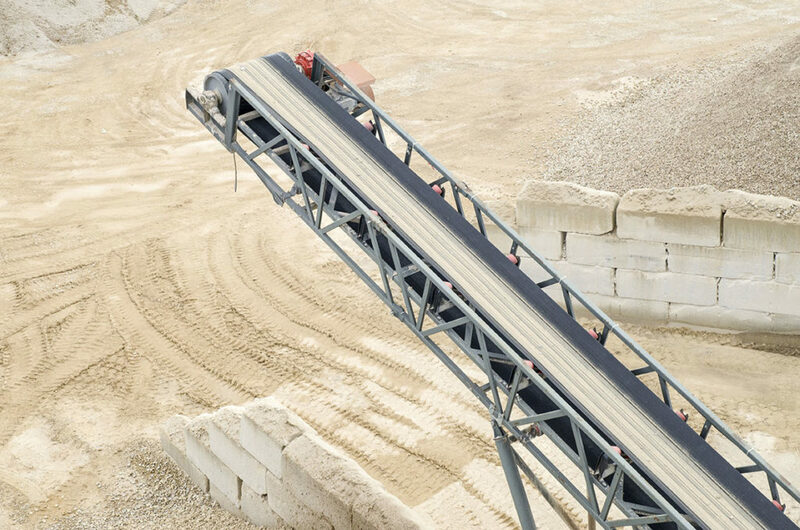 Fire Resistant • Conveyor belt that is designed to MSHA standards for underground mining. Fire/Oil Resistant • Designed for substances such as oil-treated coal in power plants, resistant to wear from oil and fire. Moderate Oil Resistant • Or “MOR”, recommended for wood chips or whole grains and other food or animal products with moderate oil substantive quality. Super Oil Resistant • Or “SOR”, recommended for oil metal parts such as those found in recycling or manufacturing refinery facilities (“MRF”s), or for crushed soybeans and other materials where animal or vegetable fats are a deteriorating factor. Ultra-Guard • Specifically engineered for whole grain products like wheat/cotton seed. Moderate Heat • Resists hardening, cracking, & ozone up to 300 °F. 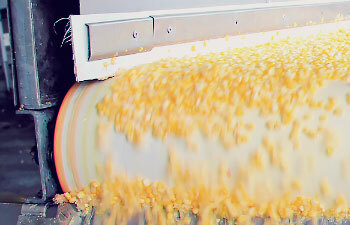 Heat Resistant • Conveyor belt resists hardening, cracking & ozone for 350-400 °F applications. Oil/Heat Resistant • Flexible belt even at 350 °F; this belt is specially designed for hot asphalt paving mix, oil extractor plants, etc. SOR-Fr • Premium elastomer of SOR that also meets MSHA 2G flame retardant standards. 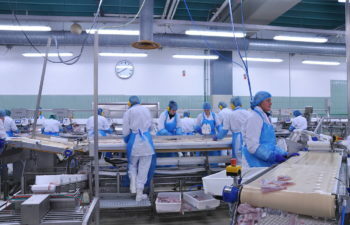 Your toughest belting demands industrial strength resistance to oil, grease, vegetable acids and chemicals. They may need to operate at extremely high or low temperature — with low stretch, high fastener holding ability, and superior rip, tear and gouge resistance. Our Food grade, USDA, FDA monofilament carcass is industrial grade and 100% synthetic. The monofilament provides for flat running and easy tracking with torsional rigidity. Single ply construction, there’s no cover or ply separation. Cleats and Lug S-Molded are available in white F.D.A or black oil-resistant nitrile compound, black SBR rubber, or black/white butyl. 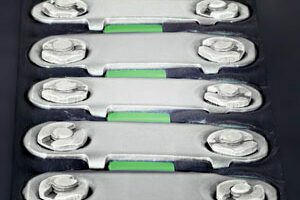 They are fully hot molded into the belt surface, not cold bonded or cemented on. Our PVC solid woven and Rubber rough top is the longest wearing most economical and least troublesome belting available on today’s belt market. Constructed of a single ply interwoven and a double ply carcass impregnated and covered with polyvinyl-chloride or SBR gum rubber. 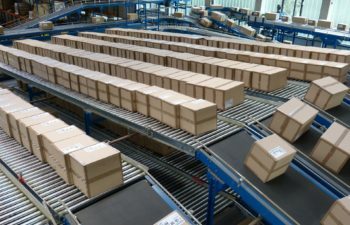 With resistance to moisture, rot, mildew, and wicking — our PVC conveyor belt and Rubber rough top is the standard for distribution centers and bulk handling centers. Don’t know what belt to use? 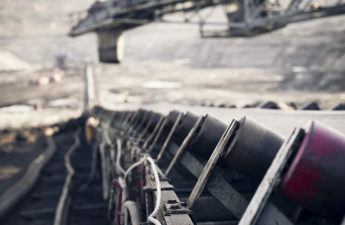 Utilize our proprietary conveyor belt analysis software program. 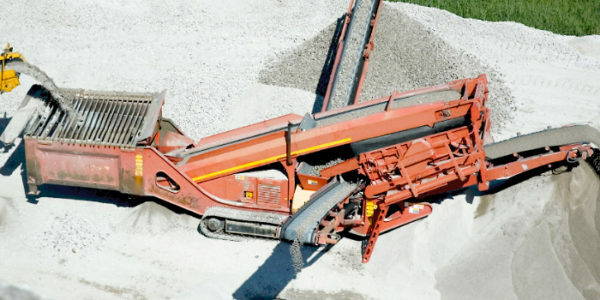 Contact your Summers Rubber Company Conveyor belt salesman for on-site service to provide Conveyor Belt recommendations according to minimum motor horse power requirement, proper pulley diameters, proper counterweight specs, proper transition distances, and the actual surcharge angle. 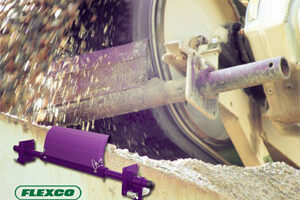 A device to make precise cover gauge thickness measurements without destroying the belt. Contact your Summers Rubber Company salesman to set up an on-site survey with the Ultrasonic Gauge service. This provides the customer with estimated cover life, a window to replace a belt line, and a mechanism for scheduling minimized downtime. Reduce your spillage at loading and transfer points on conveyor belts with SBR skirtboard rubber and protect your equipment at the same time. 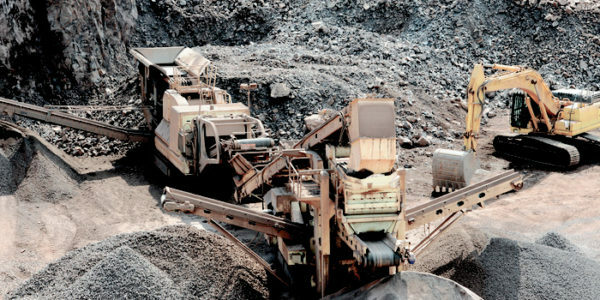 Abrasion and weather resistant for tough applications in all types of environments. Featuring 1,000 lb. tensile strength and 300% elongation in hardness of 55-60 durometer in gauge. 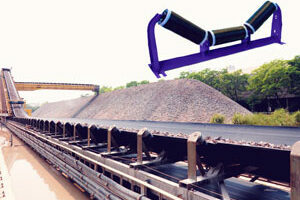 Summers Rubber Company stocks for various chute, hopper, bin and cyclone separator service. Wherever noise, abrasion, impact, sticking or bridging is a problem, Summers Rubber Company has the answer. All idlers feature heavy duty foot brackets, external deflectors, rounded ends, quick change rolls, self-cleaning cross members, non-clogging centers, and a jig welded frame to ensure roll alignment.